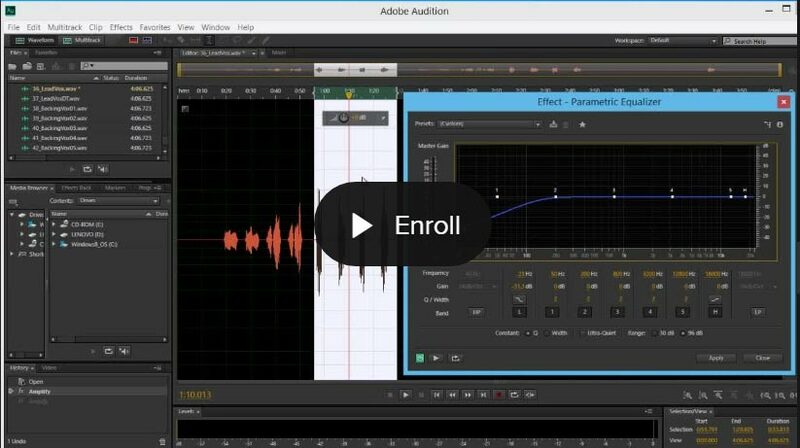 Hello & welcome to Audio Mentor! 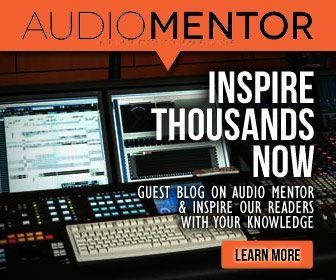 Audio Mentor is a website for musicians, producers & business people. I write & post music production topics that cover techniques on recording, editing, mixing to mastering your music. Sometimes I also write about business ideas related to this (quite crazy) industry we’re in! My name is Reuben Ch’ng and I’m a music producer and marketer. I’m currently residing in Malaysia and I run two main businesses, The Cat Studio, a music school plus recording studio and Cat Insights, a marketing agency. I started my musical journey as a 7-year-old kid, who studied classical music on the violin and piano. My mom was a piano teacher so I grew up playing classical piano under very strict mentorship. I was 16 when I found my passion for music production through the curiosity of wondering how sounds were created in the songs on the radio. So I studied music arranging under a local recording studio soon after. My setup on an iBook G4, keystation 61 and the Tapco S-8s running on Logic Express. Simple but it works. I had Logic Express 7 (nobody uses it anymore, its Logic Pro X now) installed on the iBook (now called the Macbook) and I remember having only 60GB of hard disk space and 512MB of RAM installed. Those specs were good enough for computer-based music at that time, which was around year 2006. As for monitoring, I only used computer speakers as a start before buying a pair of headphones and later on a pair of really nice studio monitors, the Tapco S-8s by Mackie. Sadly, they got burnt during an event, which I’ll talk about later. I’m a firm believer in going simple. All you really need is the same little setup that I started with to make good music. Many people fall into an obsession with buying more equipment than they really need and then ending up not making any music at all. Don’t be that. 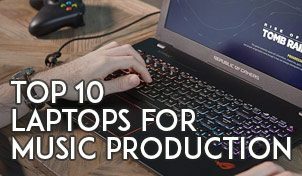 You might be someone who is already making a name in the industry, however, if you are new to music production, take my advice that skills rules over equipments any time. So I started going into music production at its digital age and I assume you did too. Gone are the days where you use tape reels for recording. You don’t need a large mixer/console and an expensive studio to make world-class sounding music. The computer is your studio. That’s good news because the ‘entry barrier’ to start recording and composing music is now lower than it used to be. It might be bad news for big studio owners but for the rest of us, it has been an industry changer. Even though I took classes at a local recording studio and eventually enrolled for the Online Berklee Arranging program, most of my production knowledge came from experience and actually doing it. There are so many platforms you could get information from these days. As an aspiring music producer, I did what most would do, grab every audio recording & music production magazine I could get my hands at the local bookstore, scan through hundreds of websites & blogs, watch tons of videos on YouTube, subscribe for few video learning courses on places like Udemy & Groove3, go to local music meetups and more. So what do you as an aspiring producer or music arranger? You go out and tell people that you’re a music producer! It was scary in the beginning, because I felt way too inexperienced to be called a music producer. However, it’s until you call yourself one before people would take the leap to work with you. How else would they know that you write & produce music and would be happy to work with singers, artists and other producers? The time I really built my skills as a music producer was when I took on real projects that I had NO CLUE about and forced myself to finish them. If you followed me so far, you’ve know that I’m equipped with a laptop, midi controller, audio interface, monitors and nothing else. As I went a little deeper into building my career as a music producer, I soon realized a need for a place where my clients could come record and work with me. At that time, I was only working from home. So together with some bootstrapped cash I saved, I built a small & humble recording studio which became my workspace for the next 7 years. I still work a lot in the same space today although these days I find myself traveling and working at odd places more frequently. It was then with a studio and by spreading the word around (via the internet as well), that people came to visit the studio and I started getting more bookings at the studio. It was fun. It was through those moments when I really learnt the trade of music production & the business. One recording project lead to another and I eventually find myself working on music for TV, games, apps and commercials. That is why I would advice aspiring producers to learn music production, recording and the music business itself at the school of hard knocks. You have to throw yourself out there and learn as you pick up the puzzle along the way. No school or blog can teach you that and it’s your job to go discover. 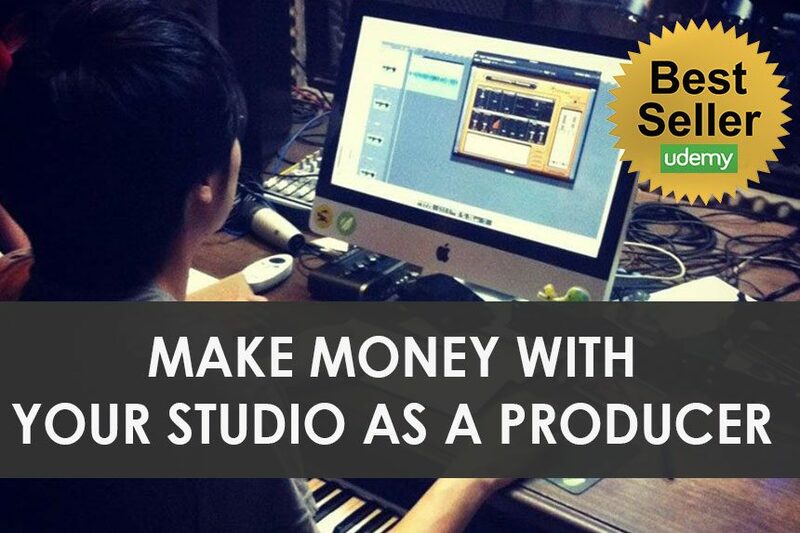 If you like some tips on running a successful home recording studio, watch my video below. Spot the Tapco S-8s? Pretty unfortunate they got destroyed in the freak accident. In July 2013, my studio got caught in a freak fire accident. What supposed to be a small steel welding fix to the hinge of the studio door caused a fire to spread on the acoustic foams stuck on the walls of the recording studio. The room became like an oven that melted everything in the studio. Really, everything ‘melted’. I lost every music equipment, keyboards, instruments, microphones, awards, computers and furniture in the studio that day. I’m not sure if you have experienced a fire disaster, but I can tell you from experience that fire spreads ridiculously quick. Like RIDICULOUSLY quick. Within seconds the whole room was engulfed in flames and my heart sunk a few miles deep that day. Don’t play with fire or smoke in your studio, ok? Promise me that. Well, what can we learn from this incident? Make sure you BUY INSURANCE and back up your data. Unfortunately I didn’t have any sort of insurance for the studio, let alone insurance for my equipments. And I had no backup of my projects. Okay, enough said. Buy insurance, guarantees or protection for your equipments, studio and ask no more. Thank me later. Why do you produce music? Why do you wake up everyday feeling energized to compose a different tune? Sometime through my career, I stumbled upon a TED talk. Simon Sinek, author of the book ‘Start With Why’ spoke about the ‘Why’ people do what they do. I eventually found my Why and something sparked me to share the knowledge & experience that I have to people around the world. This led to the birth of Audio Mentor. Audio Mentor is simply a site I started to inspire aspiring music producers and composers, share knowledge and to teach from experience. I’d like you to think I’m an expert in music production but you’ll be disappointed to find that I’m far from it. I’d call myself a ‘work in progress’ and just like you I’m learning every day as well. So the articles, videos, and content shared on Audio Mentor are all based on real experiences commercially recording & producing music while sustaining a recording studio business. Unlike many other music & educational sites, I write based on experience and from a music producer’s perspective. That means you won’t be reading manipulated articles and guides, but only honest reviews, production knowledge, tips and ideas that I constantly share every week when I have some time from my busy schedule. Garageband training at the Apple Store. I became addicted in sharing knowledge. Besides making music and running the blog, I spend lot of time doing digital marketing as well. I built a marketing agency together with a friend, where we work on lots of corporate marketing projects. I know what you’re thinking right now. Whoa! Why would a musician or producer do digital marketing? Where did I learn how to do it anyway? The reason I do digital marketing is because I believe music & marketing plays together very well. Think about this. What makes pop music popular? Do you think you hear pop music being played everywhere because it’s popular, or is pop music MADE to play everywhere hence it actually became popular? Ponder about that for a moment. After all, I started learning digital marketing as an effort to promote my music, myself and the recording studio back when I was starting out. Through the years getting the recording studio promoted, I also picked up digital marketing skills. Now, you’ll know why I still continue to do it today and even run a marketing agency. Same goes to you. It’s silly to only depend on the quality of your music to hit success. While I don’t deny the fact that your music has to be good, it also takes some clever marketing efforts to get your music to where you want, whether you’re a singer-songwriter, film composer, DJ or music producer. My resolution this year was to be transparent and to reveal who I am behind the scenes. Well, I hope that I was able to show you who I am, that I’m human and like you, doing what I believe every single day. I also hope that you find Audio Mentor to be entertaining, helpful and useful towards the success of your music career. Content over on Audio Mentor are written by me and also by industry professionals, but I do accept write-ups from creative people who want to inspire as well. If you like to share some knowledge, don’t hesitate to drop me a line. The journey lies ahead and I will continue to share knowledge, tips, and skills for as long as I can on Audio Mentor. As a closing, I’d like to thank you for reading Audio Mentor and want you to know that I appreciate even the tiniest support from you. If you ever need to speak to me directly, please drop me an email on the contact form. I usually respond to most readers even if they’re just asking something funny. Don’t worry! I’m a friendly guy.